Global design magazine Monocle teamed up with Artek to create the gorgeous tribute to the Artek Alvar Aalto Stool 60. 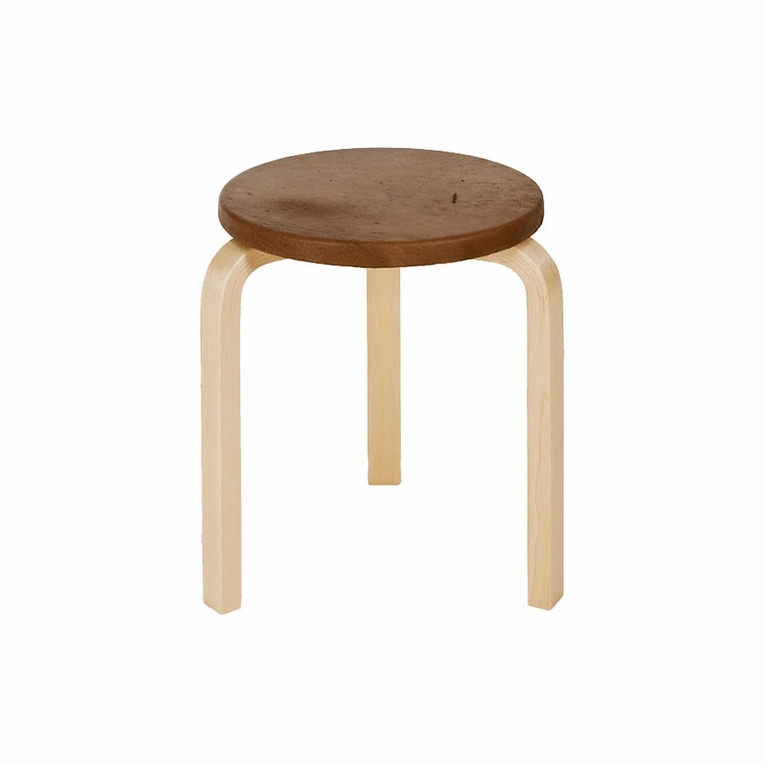 The classic stool received a chic, yet rugged makeover with a Finnish moose leather covered seat. The luxurious leather is adhered to the stool by black iron nails and brass screws. The leather, nails and screws will age gracefully with the birch and give the Artek Special Edition Monocle Stool 60 even more character.Please review our Shipping Information page before ordering. Payment: 50% will be charged at time of order, remainder will be charged at time of shipment.